“For your own good” is a persuasive argument that will eventually make a man agree to his own destruction. 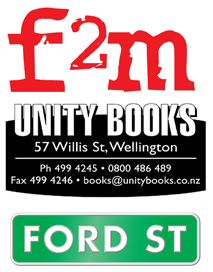 f2m: the boy within will be launched by Kevin Hague, Green MP and Rainbow spokesperson at 6pm on Wednesday 21st July 2010 at Unity Books, 57 Willis Street, Wellington. Featuring co-authors Hazel Edwards (via Skype) and Ryan Kennedy, Mani Mitchell and the Tranzform transgender youth group. Delighted the NZ launch of ‘f2m;the boy within’ is happening in July.I’ll be there electronically via Skype even if not in person.